On February 8, 2017 we launched our membership organization. A group of 15 business leaders met at eROI for a conversation with Congressman Earl Blumenauer. We learned about the business-civic partnership that was crucial to making so many good things in Portland possible. 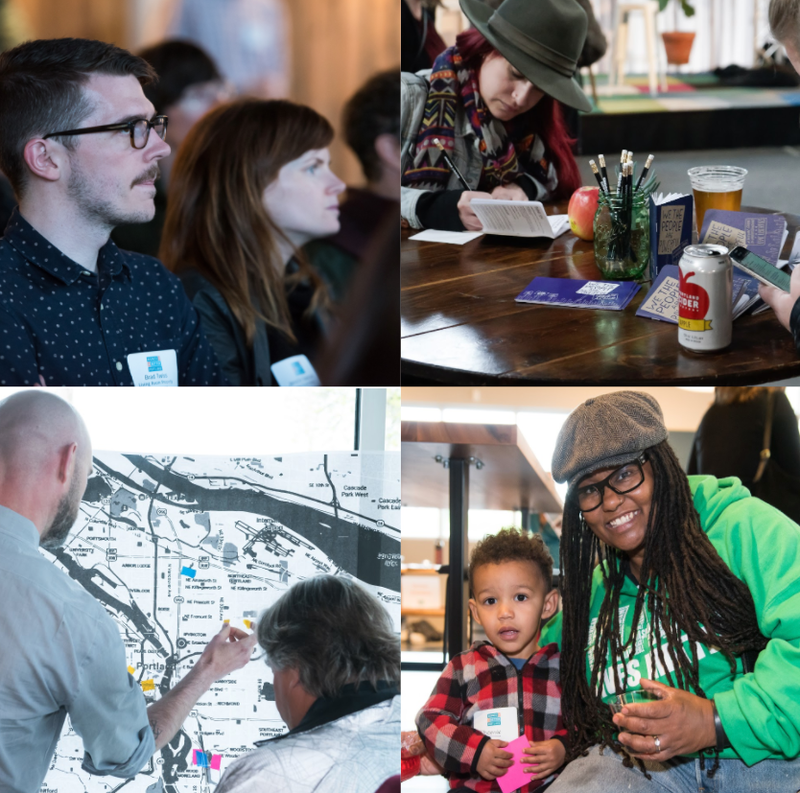 Our membership has grown to 207 companies whose leaders have lent their voices to call for a more equitable and prosperous Portland for all. We helped PitchBlack raise over $20K for local entrepreneurs and an additional $10K in scholarship funds to connect those entrepreneurs with a national network in Philadelphia through Black and Brown Founders. 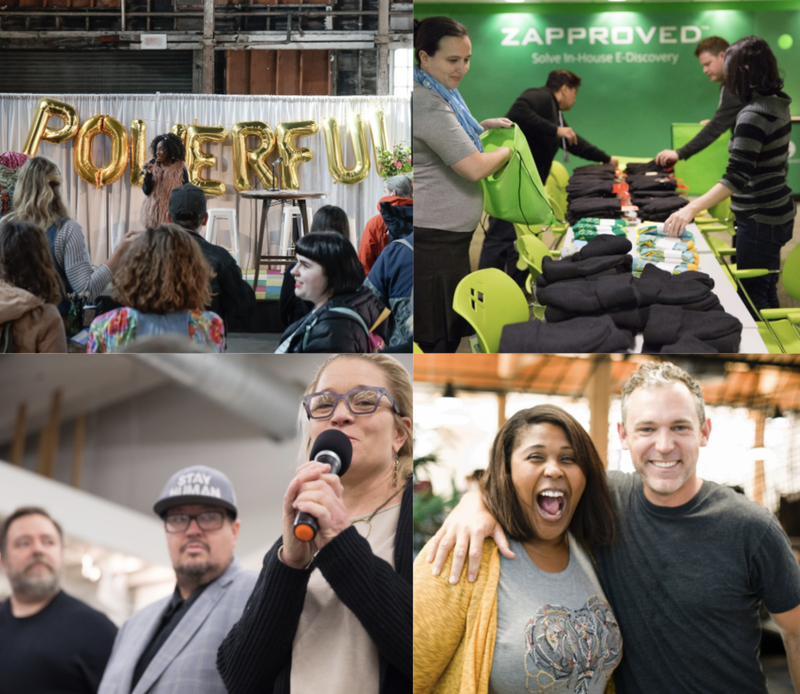 We organized over a dozen companies to host nine parties to assemble 400 holiday gift and supply kits for Street Roots vendors and others experiencing homelessness. We also learned to be better. We became better citizens through education and engagement with our elected officials and community partners. Rather than prescribe our own solutions, we listened to community leaders to determine where our business voices could be most helpful to their essential work. From homelessness to workforce diversity to equitable access to capital we embodied our values by asking what was needed and showing up to support the community. We cultivated leadership at every level, engaging employees, younger entrepreneurs, and over 200 businesses previously uninvolved in policy and civic process. We became better connected through collaboration and cooperation. As an organization, we grew our membership across industries from designers and real estate developers to banks, restaurants, and technology companies. We brought on a new team member, three new board members, and six new associate board members. BBPDX made great strides in its first year. We need your support in 2018 so that we can be a stronger voice for the community.